Aesthetec Studio worked on the Body/Mind/Change interactive experience & installation for this project. It is one our favourite projects to be a part of. Congratulations to the CFC Media Lab and TIFF. 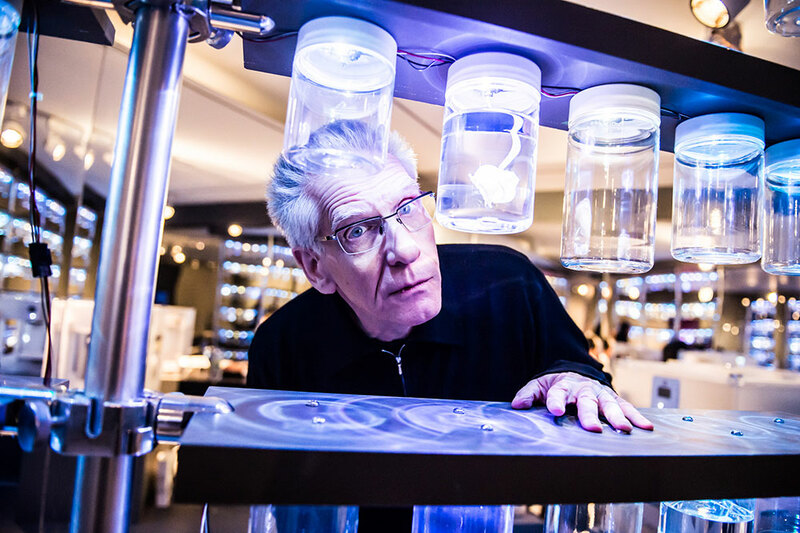 TIFF’s The Cronenberg Project is the recipient of the 2014 Ontario Museum Association (OMA) Award for Excellence in Special Projects, for the combined nominations of the exhibition David Cronenberg: Evolution, David Cronenberg: Virtual Museum and the interactive Body/Mind/Change initiative, a co-production between TIFF and CFC Media Lab.